With the recent firestorm raging over the 2010 Budget Cap Formulae, its hard to believe that it was twenty years ago today that I attended my very first Formula 1 race in “the Valley of the Sun,” as this venue was the new home of the USGP, with Bernie Ecclestone and the City of Phoenix having inked a five year deal to host a temporary street circuit race around the Downtown corridor of Phoenix, Arizona. Yet, back to happier circumstances, as your Humble Scribe has previously scribbled about encountering the GODS of F1 in Phoenix, circa 1989 in May Day, while my most entertaining memory of the Iceberg Grand Prix is Roberto’s yarn about riding the elevator with a clueless friend alongside Alessandro Nannini and asking Sandro; So, are you like one of the Team Mechanics or what? As Sandro was at the time a rising F1 Star, prior to his devastating Helicopter accident in which surgeons successfully reattached his hand! But let’s cut to the chase, shall we? 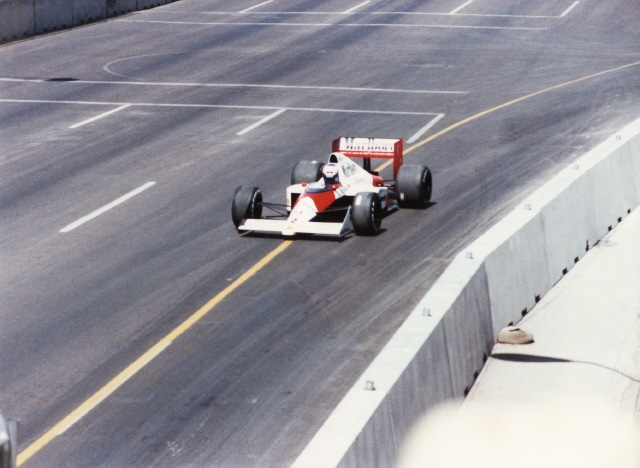 As I recall unknowingly sitting in the Media section on the front straightaway with Hall and taking an unbelievable amount of photos before we were summarily dismissed due to the lack of proper credentials… WE DON’T NEED NO STINKIN’ MEDIA CREDENTIALS! DriversMcLaren’s Ayrton Senna and Alain Prost were clearly the class of the field, arguably head ‘N shoulders above the remainder of contestants, as only “Il Lione” or “BLOODY NIGE, better known as Nigel Mansell was able to regularly challenge the McLaren duo, while his teammate Gerhard Berger also occasionally joined the party. Ford’s Benetton “Works” Driver tandem of Alessandro Nannini and Rookie Johnny Herbert were an interesting pair, as one had to be impressed by Herbert’s fortitude... Having suffered a massive crash the year prior with harsh damage to his legs and feet, as I recall reading how bits of rubber from the race track’s tarmac were to exude their selves from his feet years later! 1) Honda Marlboro McLaren; 2) Tyrrell Racing Organization; 3) Cannon Williams Team; 4) Motor Racing Developments (Brabham); 5) Arrows Grand Prix International; 6) Camel Team Lotus; 7) Leyton House March; 8) Osella Squadra Corse; 9) Benetton Formula; 10) BMS Scuderia Dallara; 11) Lois Minardi Team; 12) Ligier LOTO; 13) Scuderia Ferrari; 14) Larrousse Calmels; 15) Coloni Racing; 16) EuroRacing; 17) West Zakspeed Racing; 18) Moneytron Onyx Formula One; 19) Rial Racing; 20) Automobiles Gonformaise Sportive (AGS). 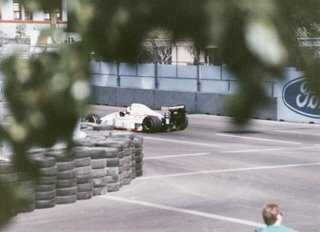 RaceAyrton Senna set blistering times during qualifying, nearly 1.5 seconds ahead of rival teammate Alain Prost, with some cynics suggesting Senna surely must have cut thru the Sheraton parking lot? And Senna would have most likely won the race if he hadn’t suffered from “Electronics” failure, as even then Auto Manufacturers were loathe to state their engines had failed, as Prost who overcame overheating (engine, NOT Driver) problems of his own to take the chequered flag ahead of Ricardo Patrese and local oy Eddie (“Underachiever) Cheever in a Arrows/Ford, while an extremely low number of Drivers finished the event; as Christian Danner in a Rial/Cosworth was fourth, Herbert fifth and Boutsen sixth... With the rest of the field either retiring from mechanical troubles, accidents or driver fatigue; as Nannini was overcome with exhaustion, Gugelmin being DQ’ed, with the others either failing to qualify or pre-qualify as the oppressive heat took its toll. Great post... GRACIAS! Me and the wife (aka 'World's #1 Female Race Fan') watched this race on the teebee, recalling the impudent Jean Alesi actually catching and passing Mr. Senna during the race. THE NERVE!!! 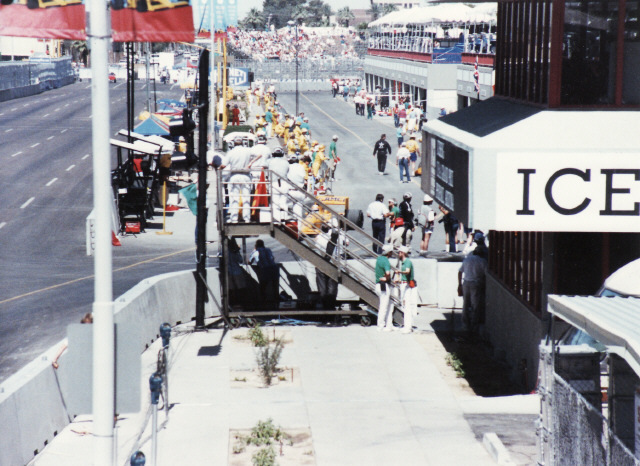 I recall the pavement was ripping up all around the track due to the heat and there were more unpaid spectators than paid hanging around, watching for free. I luvs me the F1... doesn't this weekend's event in Turkey have the infamouus triple-apex Turn 8? Thanks for the mammaries! Thanks for sharing! I love the Phoenix track, however you must understand I was but 3 months old when the inaugural even took place. To pose a question though, most sources cite the 1991 event as being infamous for an ostrich festival attracting more fans, with the '89 even being somewhat of a success. Perhaps the sources are misinformed? I'm certainly envious of your first-hand experience at the Phoenix Grand Prix. Keep up the great posts!